Welcome to Your Guitar Tutor! You can browse through a wide selection of free beginner guitar lessons, advanced guitar concepts, awesome guitar related blog posts and video guitar lessons on easy guitar songs, all completely for free. This is a place to enjoy and learn guitar at your own speed with the guidance of an experienced guitar teacher, who has taken his guitar teaching to the online world. 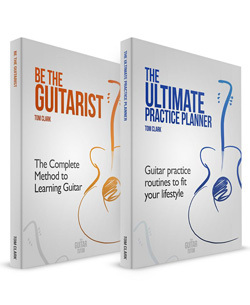 You will be able to play guitar faster than ever with help from any of the ebooks available here. 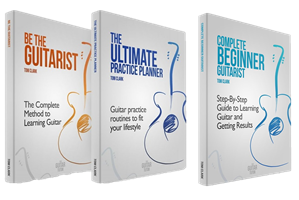 There is an ebook for every level of player, from complete beginner guitarists, to the more advanced guitarists looking to propel their playing to the next level. 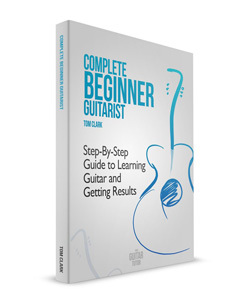 Through understanding the needs of guitarists from all over the world at any given stage, Tom has designed guitar methods to give you exactly what you want. He has even created a free ebook on how to play easy guitar songs using his popular capo guitar method, after getting a high demand for this product from players worldwide. Whether you are looking for help on where to start when learning guitar, or how to push your scale, chord and music theory knowledge, then you are in the right place. All too often guitarists quit through losing direction and not being given the right attention and clear guidance on learning the guitar. By making guitar as easy to learn as possible, Tom has managed to steer players onto the right track even after previously having 30+ years of no improvement. We all have different goals from learning to play guitar and Your Guitar Tutor understands exactly how to get you having fun and playing guitar today.